Yesterday, the orthopedist that we saw at the hospital here in town, wasn't that great. He literally took a two second glance at the xray and said, "nope...doesn't need setting!" He never even looked at William's arm to notice that you could actually visibly see the fact that it was broken. When we went to the guy for casting, he took one look at William's arm and refused to cast it without doing some manipulation. Now, Ugandan medical professionals don't excel in bedside manners (they often shamed William for crying!) nor is sharing of information a general cultural value here. So the second he muttered that, was the second he began to pull on poor William's arm. Of course William began to scream and I made them stop and tell me what was going on. It was then that they said maybe they would give William some drugs...and thanks to Mark Weber speaking up, they didn't overdose him. 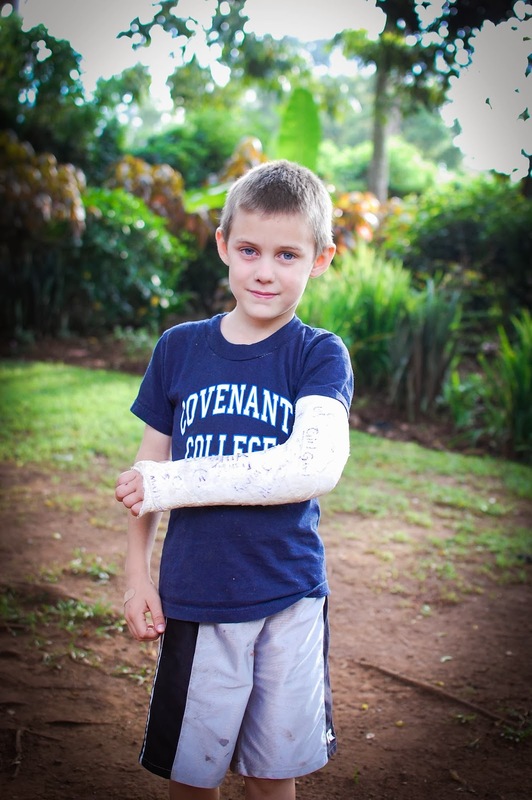 Then they pulled his arm and casted it in a white plaster (very heavy!) cast. Because of all of this, we got a second set of x-rays to see how the setting went and then decided to find an orthopedist that was first world trained to take William to today for a second opinion. 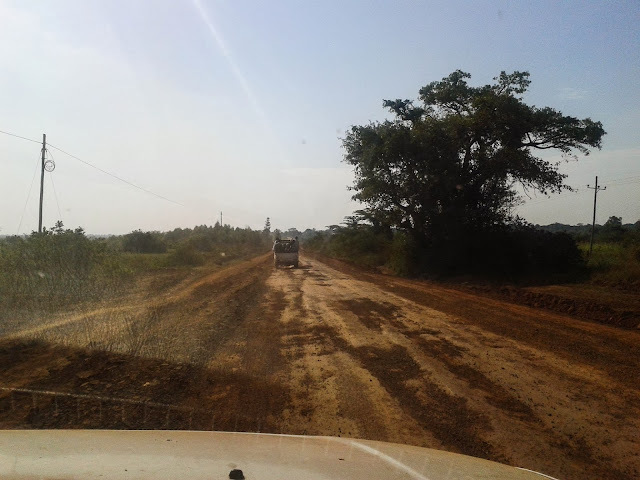 We heard great things about a doctor, who is located about 1 and a half hours up a mostly dry dusty road in Kumi. 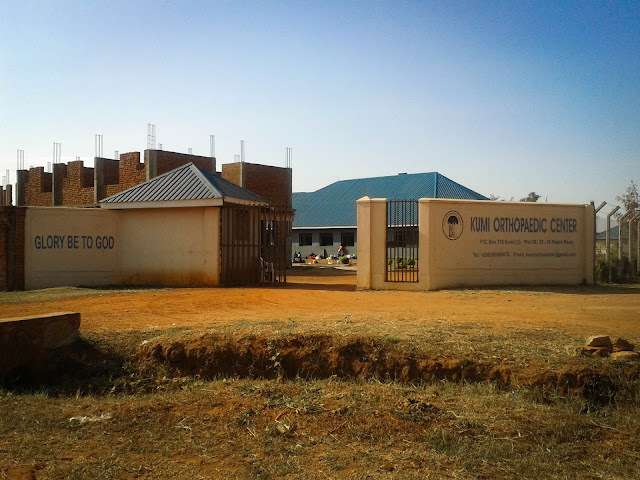 About the time we thought that we were heading to nowhere, we happened upon his practice...Kumi Orthopedic Center. It was beautiful facility and it was easy to tell within seconds of meeting him that Dr. Ekure was obviously good at what he does. 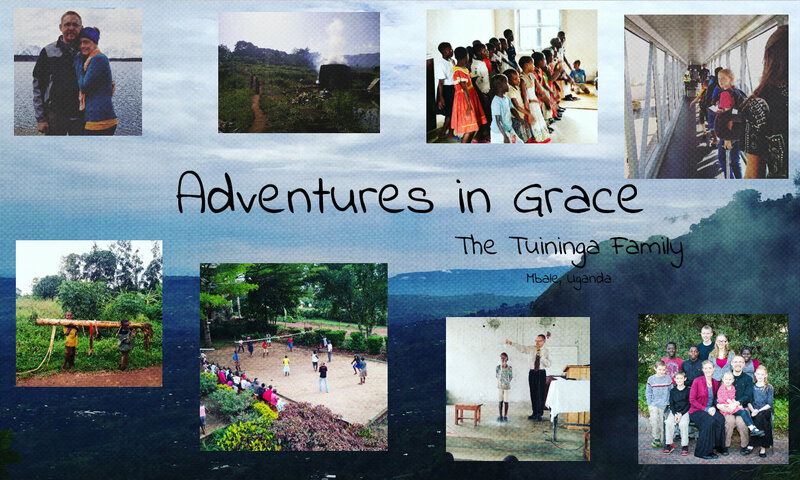 I have been continually thankful since we have been here, for men (and their supporters) who leave Uganda to pursue top-notch training...for men who could easily stay in the first world and be very successful in their fields, but who instead return home, set up shop, and serve God through serving those made in his image who will never be able to pay what it really costs for such excellent, truly-healing treatment. By God's grace, our sketchy bone setting experience was enough and no more setting was necessary today. Dr. Ekure was happy, William was happy and Mama was very happy. We also were told that we could come back in four weeks to re-check, hopefully remove the cast and get a brace if needed. William is being quite the trooper. He is both hilarious and very trying when he is on strong pain killers! Today, he asked me, "mama...can you take your broken boy into the store with you?" We also, under his great protest, pulled him off of the tire swing today...although that wasn't quite as bad as his attempt to play soccer yesterday (obviously still on morphine). 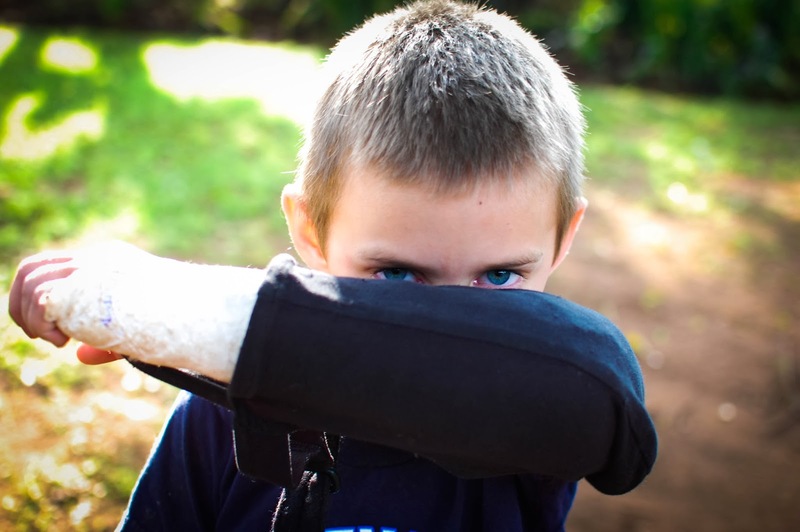 He was quite pleased to tell me how the soccer ball bounced right off his cast....ugh...the next few weeks might be quite long for all of us!